Multi-days packs are on sale! Don't miss out on seeing your favorite tennis stars in action thanks to our multi-days packs including 2, 4 or even 7 days! And enjoy a 10% discount! 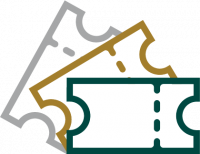 Welcome to the Rolex Paris Masters ticketing website. Follow the top seeds entering and benefit from a 10% discount! Attend to the highest leveled matches and benefit from a 10% discount! Follow the integrality of the tournament and benefit from a 10% discount!